Announcement CUSTOM REQUESTS: Custom pendants can be created! 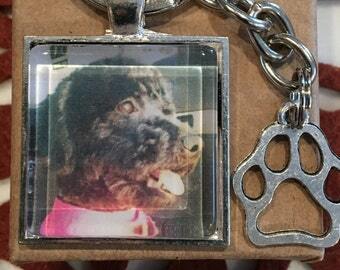 Images that can be converted into a square pendant include: pets, people, or words. If you have something in mind, but aren't sure it will work - send me a message. CUSTOM REQUESTS: Custom pendants can be created! Images that can be converted into a square pendant include: pets, people, or words. If you have something in mind, but aren't sure it will work - send me a message. DHarmonyDesigns first launched as a way to raise funds for adoption costs and has since transformed into something even more - it's become a way for owner, Darlene, to share her love of crafting and design items that make people happy. All pendants are created and designed by Darlene. Time, attention and passion goes into each item that is made - for you, for art and for the love of the craft. Thanks for stopping by and shopping!